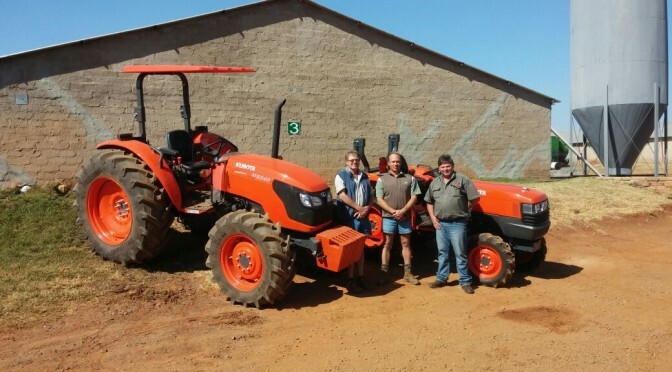 It took something special for Jan Vermeulen, owner of Piekniet Farm in Koster, North West Province, to buy his first new Kubota tractors! 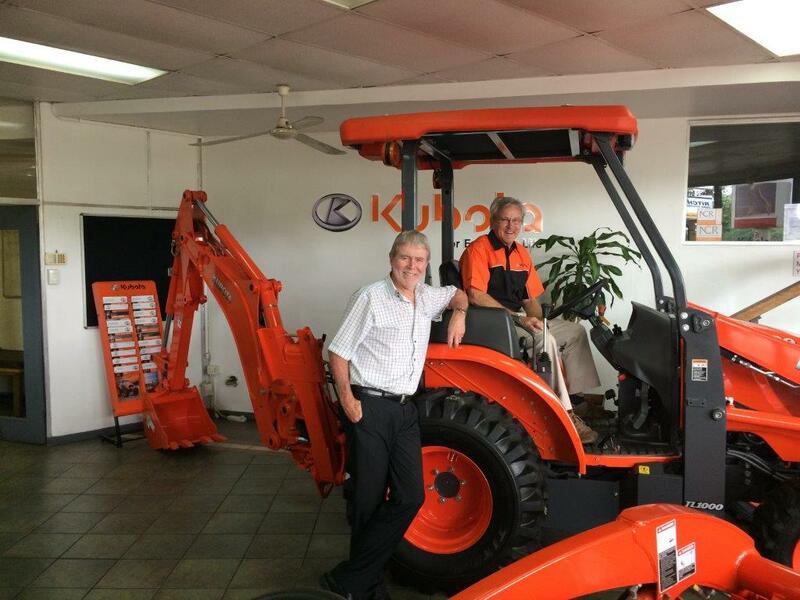 It came in the form of Kubota tractors and the service of Kubota dealer, Maubra Utility Products (MUP). 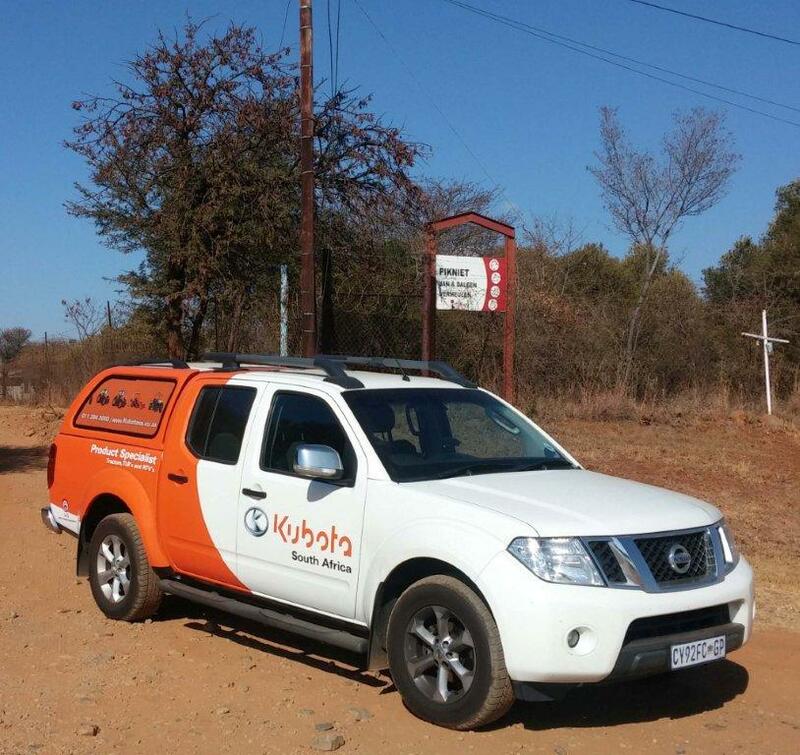 Kubota is distributed in South Africa by Smith Power Equipment. 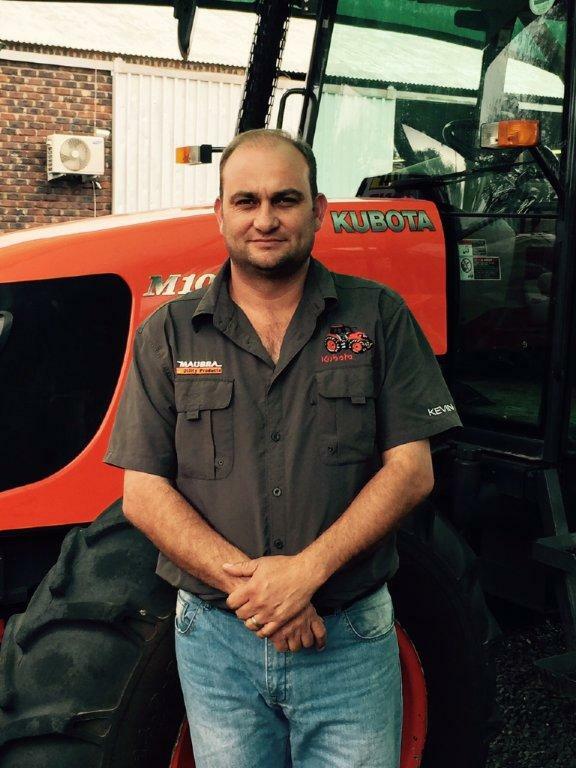 Vermeulen – who has 25ha of Lucerne under irrigation and, as a Rainbow accredited supplier, has 200 000 chickens – bought the Kubota M9540 which he uses for bailing the Lucerne and other general work, and a Kubota L4100, being small and powerful, he uses for cleaning the chicken runs. The Kubota M8540, powered by Kubota’s world renowned Tier III compliant, 4 cylinder E-CDIS (centre direct injection system) diesel engine, has been re-engineered and restyled and its lightweight and short-wheelbase appeal to the farmer for a wide range of applications. 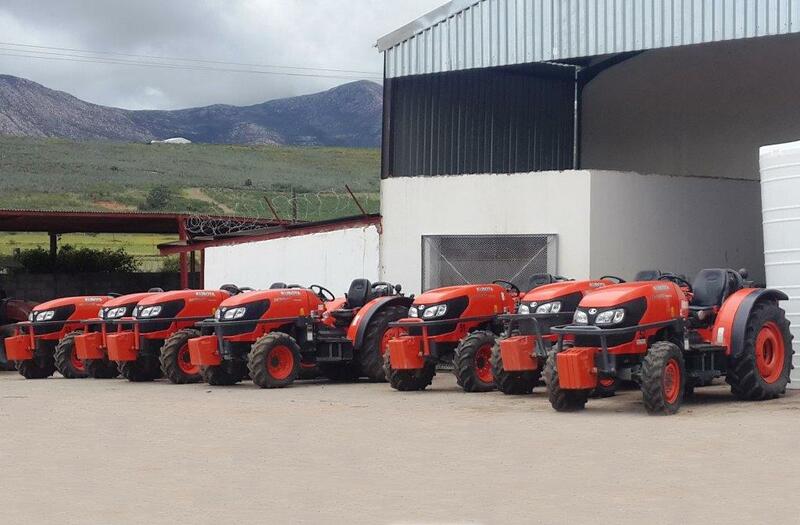 The Kubota L-Series tractors are simple to operate and amazingly powerful for their size. They are ideal for everything from estate maintenance chores to commercial landscaping, small farming or the smaller chores on bigger farms. STEERING – exceptionally small turning circles are possible by engaging on the run the Bi- Speed system which instantly engages an over-speed gear driving the front wheels at twice the normal speed. During speeds up to 8km/hr the Power Steering action is super easy. BRAKING – very smooth and effective four-wheel braking action is automatically achieved in 2 or 4-wheel drives through wet-brake disc packs in the differential system. The hand brake features a pedal latch and conventional lever system. SHUTTLE CLUTCH – just under the steering wheel is a Shuttle operating lever, this lever has three positions: Middle = Neutral; Forward = Forward; Rear= Reverse. The lever must be in F or R before the tractor can move. The benefit of this system is that clutchless changes can be made on the move when operating implements such as front-end loaders or forks and rear- mounted forklifts. GEARBOX – the transmission incorporates a 4-speed conventional all-syncromesh gear set with a 2-speed range option and an optional creeper-gear set. 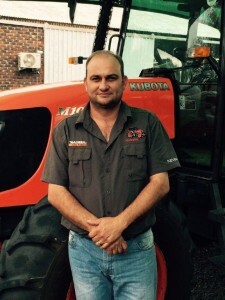 The driver selects the ground speed using a normal gear lever BUT KUBOTA engineers have added a system of WET PLATE CLUTCHES to engage the output shafts to the wheels and PTO systems. This eliminates the normal DRY plate CLUTCH and allows for the tractor to function much more effectively. 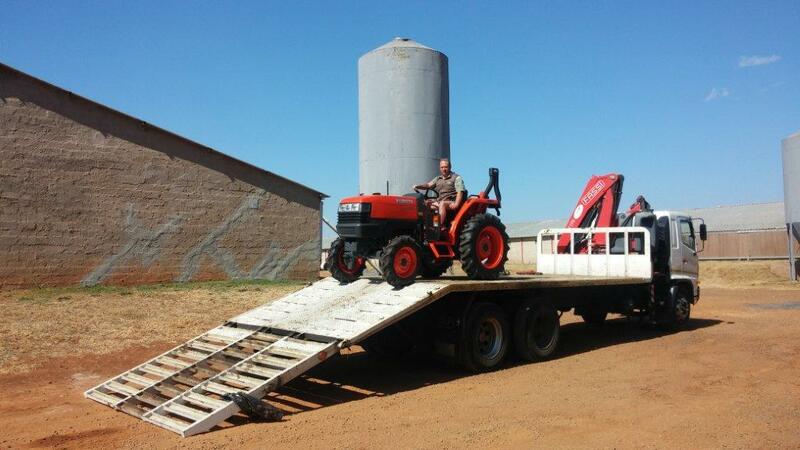 This is ground-breaking engineering not found in other makes of tractor. This article was featured in the AgriSA – October 2015.